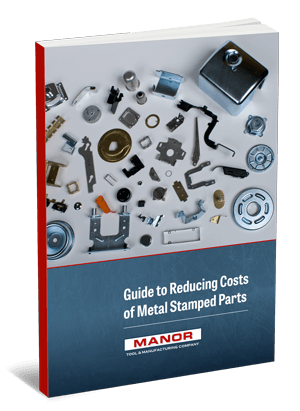 In part one, of this two-part blog series, we began to explore the different ways that manufacturers can cut costs on their metal stamping projects. The last post focused on the physical changes that can be made to projects which, when implemented properly, can have a positive effect on your profit margins. There are additional ways that money can be saved on your stamping projects, beyond changing physical things like the materials used for the part and the tooling used to create it. In this post, we’ll explore the “mental” and engineering aspects that can lend themselves to a cheaper (and often times more effective) metal stamped part. Whether you are an engineer or a procurement manager, “project management” is likely not the first item on your priority list when choosing a service provider. Costs, experience, and expected (promised) timelines are usually the determining factors in your final decision. In reality though, it’s the company’s project management structure and the project managers themselves that directly affect those factors and the ultimate success of your project. If your service provider cannot immediately lay out who your points of contacts are, and who will be running each step of your project’s timeline, you should reconsider your partnership with this provider. It needs to be guaranteed that you will have a clear and open means of communication throughout the project, so that if and when changes need to be made (design, materials, delivery, etc.) they can be handled quickly, efficiently, and most importantly, cheaply. Without that line of communication, you run the risk of having to manage the project from afar – costing you both time and money in the long run. Project management can make or break your metal stamping project. Excellent project management will ensure that every aspect of your project runs smoothly and efficiently, and in a world where time is quite literally money, one cannot afford to run into missed deadlines or incorrectly run parts due to poor project management. When bringing a project to a metal stamper, it’s important to know that the staff is properly equipped (and prepared) to do a design review of your part before accepting the job and bringing it to production. That the part you require can actually be completed by the machinery on-hand. That your part design is as efficient as possible. That all Tolerances, Dimensions and Radi are suitable for a Metal Stamped Production. The design reviews provide you with the opportunity to get feedback from individuals that are seeing the project for the first time. The fresh perspective can often lead to suggestions or changes to a part design that can lead to cost savings during part production and an overall better part. In the realm of manufacturing, as with any business venture, keeping costs low is always a top priority for any project. When clients come to us with prints or parts, one of the major concerns that they have is whether or not they are getting the most cost effective outcome. In this two-part blog series, “Saving Money on Your Metal Stamped Parts”, we’ll cover some of the major ways that money can be saved on metal stamping projects. For the first installment, we’ll cover some of the physical changes you can make to bring costs down. The metal chosen for your stamping project plays a considerable role in the overall costs. It is possible that the material you are planning to use (or have been using) may not be the most cost-effective metal for your part. It is important to interface with your metal stamping provider to review the potential material options (or alternatives) for the project. 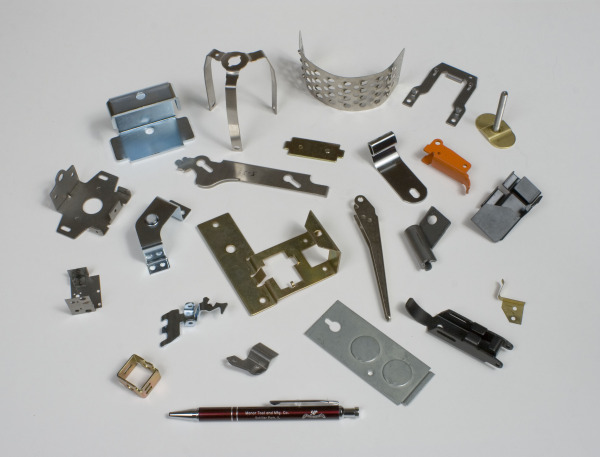 Each metal type offers different advantages in terms of formability, machinability, and tensile strength; your stamping provider should be able to determine the pro/cons of each type for your particular project, and present the most economical option. Some metals, such as aluminum or magnesium, have a tendency to carry higher upfront costs. But they can prove to be the more cost effective option when considering the longevity of your parts. In other scenarios, the cheaper metal may be the best solution; it all depends on the project requirements. One of the most common swaps that we see are swaps within the steel family. Manor Tool has often been able to introduce High-Strength, Low-Alloy steel into a job due to the fact that it possesses high corrosion resistance and similar material properties to spring steel, while being offered at lower cost. Any areas that are not set in stone, to allow for potential design modifications. Another aspect to consider when working with your metal stamping provider is the tooling requirements of your part. Small changes to your tooling can have a huge impact on both costs and production time. Manor Tool encourages you to find a stamper that has the capability to provide a finite element analysis. A major portion of the finite element analysis is the determination of whether or not different tooling or additional tooling would make a significant impact on your overall part costs down the line. In a realm where time is money, the Finite Element Analysis also helps you save money by reducing the timeline of your tooling design cycle. The virtual design simulations can be run in a few hours, meaning you are freed from the machine shop/manufacturing schedules that hard-copy tests are tied to. It’s important to keep an eye on the increase of production volume. As production of your metal stamped parts increases, there may be a time where the job transitions from being a “low volume” or “short run” job to being a “high volume” production. Having a high volume production run opens up the opportunity to revisit your original prototype, and rework the design for cost saving opportinities. It’s hugely important to find a metal stamping provider that has the capability to take a job from prototype to production, as they will inherently have the ability to help reduce your costs in-house. As an example, Manor Tool has the internal ability to build hard tooling/progressive dies. As quantities increase from the short run (low volume) process, those progressive dies can bring down the piece-part price significantly, with the investment in a nominal hard tooling cost. Be sure to check back soon for the second installment of “Saving Money on Your Metal Stamped Parts”. The next blog will focus on some of “The Mental” adjustments you can make to save money on your parts. SPEED, SPEED, SPEED! – Progressive die metal stamping is based on the continuous feed of material through the different die stations of a tool. 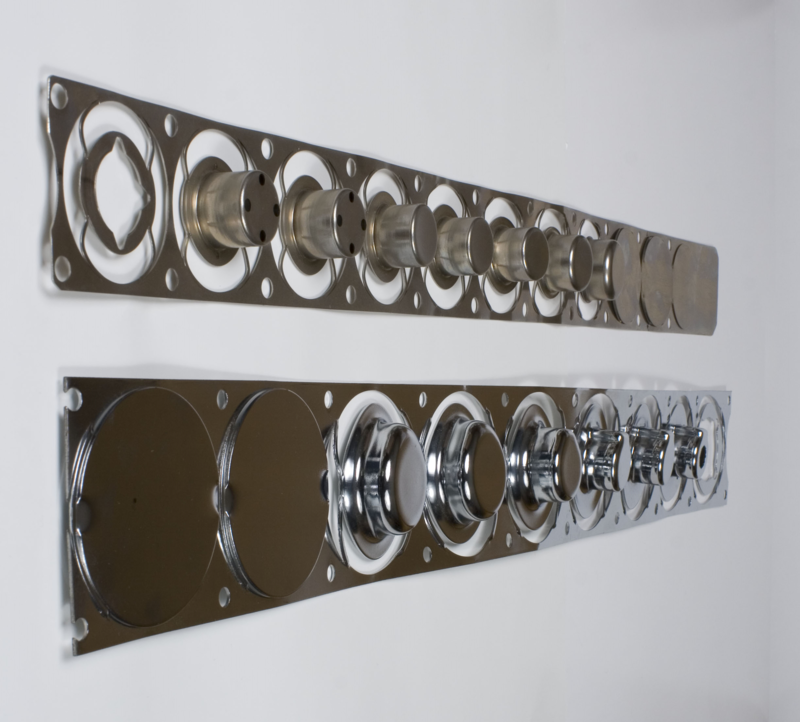 The nature of the process allows you to create more parts in a shorter period of time when compared with traditional fabrication or machining. For high volume parts, progressive stamping provides the lowest cycle times per part. Less Scrap Material – Progressive stamping is a metalworking method that can encompass punching, coining, bending and several other ways of modifying metal to produce your desired end part shape. The vast majority of material is used, hence, less scrap is produced. 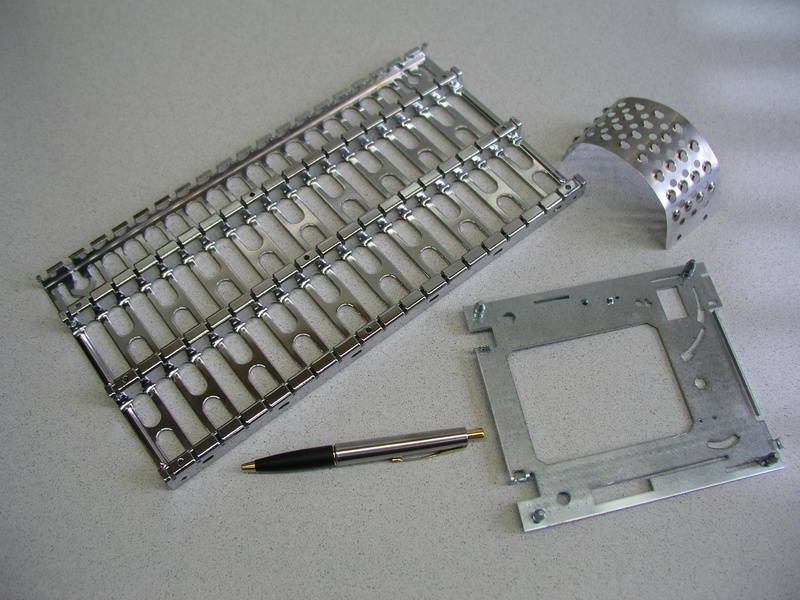 Progressive Die Metal Stamping may provide the most cost effective material option for manufacturing your parts. Quicker Setup – When compared to traditional fabrication or machining, the setup time may be much less for the progressive stamping process. What is achieved in multiple Setups and processes during traditional fabrication and machining, may be performed in one operation if Progressive Die Stamping is utilized. This reduction in Setup and processing will result in a more cost effective piece part. Create More Geometries with a Single Process – Progressive Die Metal Stamping allows you to create parts with many geometries within a single tool. This video shows a single part progressing through a die. All required geometries of the part are achieved in one Progressive Die operation. Longer Runs – The continuous material feed used in the progressive die stamping process allows for long runs. Longer runs between material changes and tooling adjustments mean your parts can be produced in a much shorter time. High Repeatability – The hard tooling die designs allow for high volume runs without die degradation. This means that part quality remains high and there are fewer failed parts. 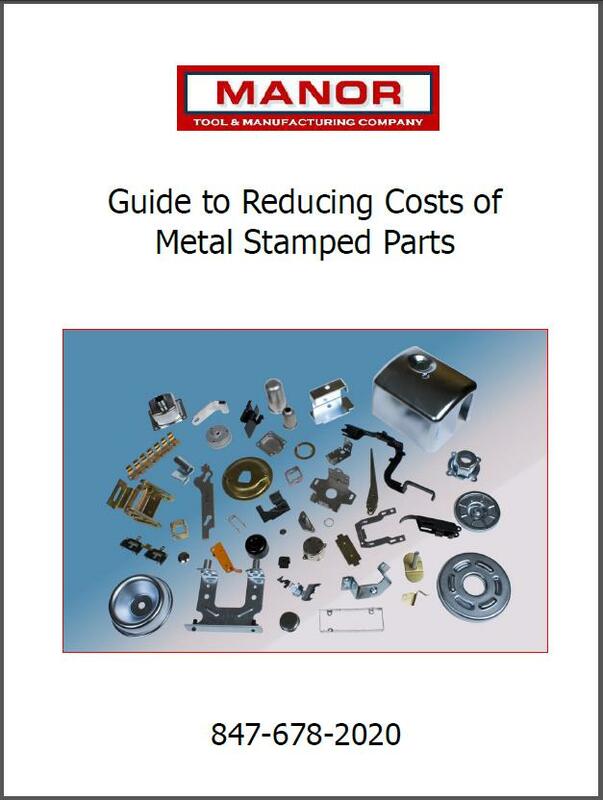 Lower Cost per Part – All of the factors above contribute to reducing the overall cost of your part. Using progressive die stamping allows you to create robust parts in the most cost effective and expeditious manner. We look forward to helping you save money on your next project!